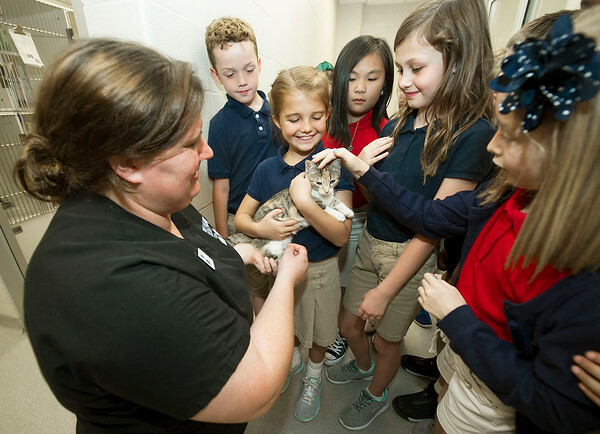 Gabby Goudace, center, holds Marty, a young kitten during Shannon Brower's St. Mary's Elementary third grade class trip to the Joplin Humane Society. Pictured, left is JHS' Tianna Fisher. Children from Brower's class contributed $170 of the $768 raised by the school for the shelter, which received a check from the school on Tuesday during the visit.